I love cocoa scents but pair that with a beauty/body product? You’ve got me hook, line and sinker. 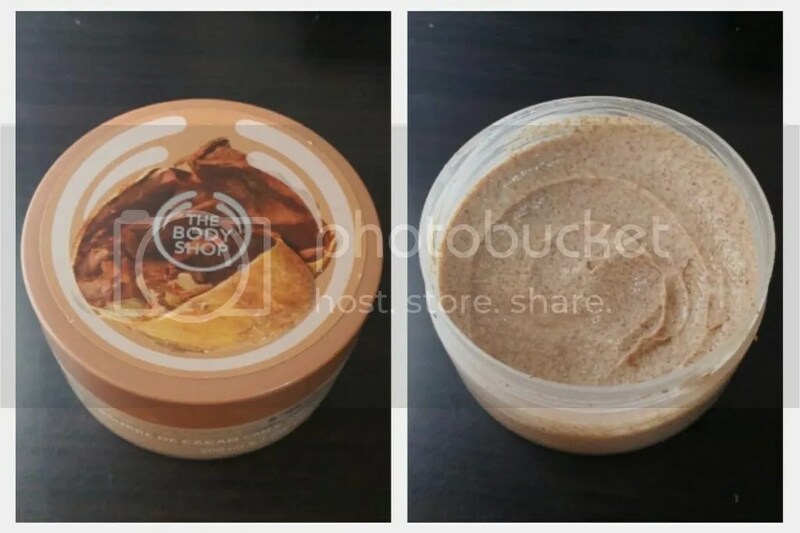 The Body Shop Cocoa Butter Cream Body Scrub is one such product – a pretty expensive product at SGD30.90 for a 200ml tub, given that it’s on and off the body in a blink, but one that still makes me a little panicky when I run out of it. I’m addicted. This exfoliating body scrub contains real cocoa butter. It leaves skin feeling soft and smooth. Stimulates skin micro-circulation. Leaves skin feeling super-soft. Sweet cocoa butter scent. 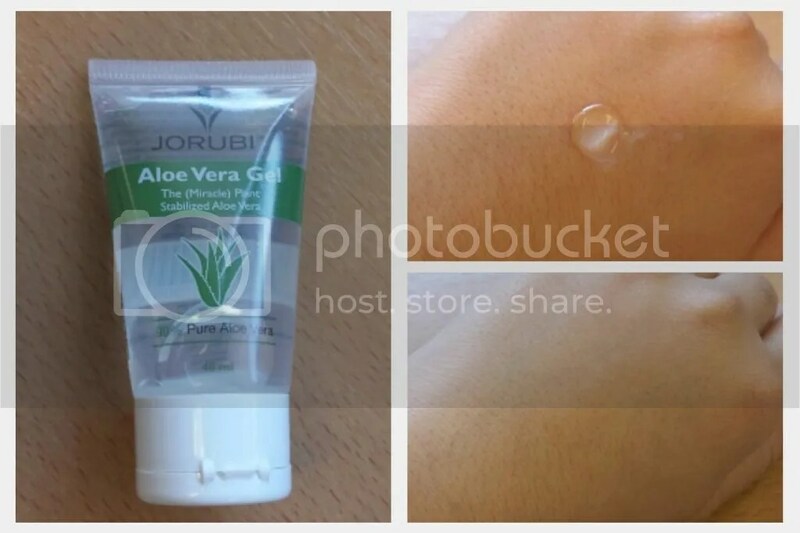 A new found love of mine is the Jorubi Aloe Vera Gel – I believe I got it through Samplestore some time ago but had neglected it because… well, it sounded boring. How exciting does Aloe Vera gel sound? I remember when I was younger, my godparents used to have a huge Aloe Vera plant from which they would cut off a leaf or two every now and then to use on burns or rashes. The whole process took quite a bit of time, but now it comes in a convenient tube! For someone with very dry skin, hand cream is a must on a daily basis just to make sure that my hands are not all old and crinkly by the end of each day. Sometimes I forget and my skin turns scaly; not a good sight and rather a pain. 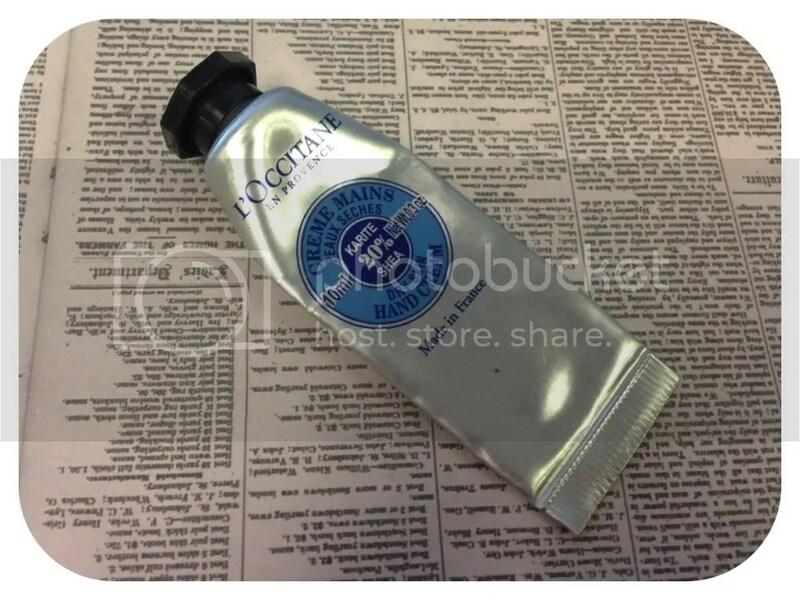 So a really good moisturizing hand cream is a must for me and I am forever on the hunt for something that’s moisturizing without being too greasy, as I spend all day typing up excel files and an oily keyboard does not make the job any easier. In comes the L’occitane Dry Skin Hand Cream. I received this rather generous sample of 10ml as a VIP gift from Sephora (in the US) some time ago but only dug it out recently from my stash. I must say that I really like this! It’s quite creamy in texture, but not too thick. I find that it absorbs really quickly on my dry hands without an oily residue and my hands felt really nice and soft afters. It does have a pretty strong scent which I don’t really mind but it’s something to take note of. One thing that I didn’t like was the price – at about S$44 for 150ml, I thought that was pretty crazy for a hand cream! There is also a smaller size version but the price per ml is even more ridiculous. I think whether an item is really worth it or not is very personal; for me, I think as much as I did really enjoy this, I will be hunting around for much cheaper alternatives or when I really feel like splurging on myself.